With 90 degree days becoming a regular occurrence, it’s safe to say we’re well in the midst of summer. Despite the heat, I have always adored summertime fashion, especially when it comes to shoes! There is nothing quite like putting on a pair os summer sandals and feeling the sun on your toes. For this very reason, I have acquired quite a collection of summer sandals. As you may know, Nordstrom is one of my absolute favorite shopping destinations for everything from home décor to fashion. Summer sandals are no exception. With a wide variety of high-quality shoes from a vast array of brands, there’s no better place to shop! This season, one of my absolute favorite summer trends is the pearl slide (love these too). Pearl slides are a gorgeous way to dress up and add some feminine edge to any look. Check out two of my favorite pairs below! These pearl sandals are so pretty for summer! Those sandals are the cutest! I’m obsessed! Ooh these pearl sandals are gorg! Love them!! these sandals are so cute for summer! yellow looks amazing on you btw! Aww thanks love! They are so comfy too! Girl. you look BEYOND fabulous! Yellow is definitely your color. And how amazing are those pearl sandals?! love that dress and sandals! OMG this is like the prefect outfit for summers! 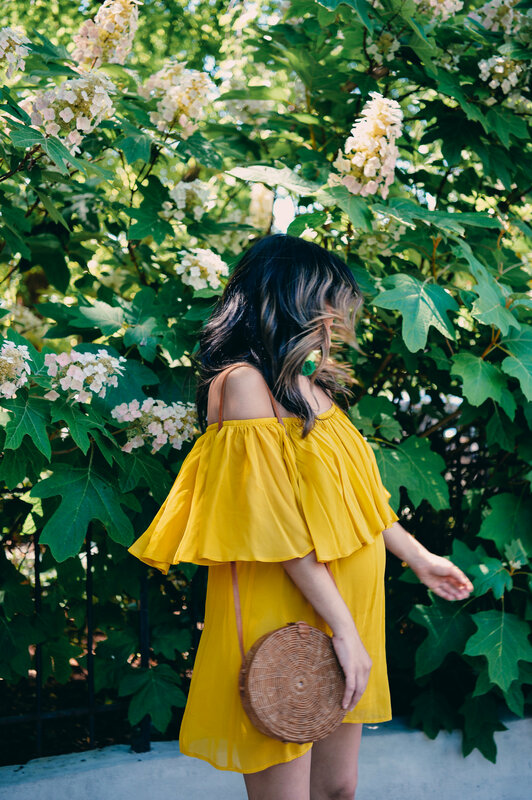 That mustard dress, bag and those pearl sandals… ahh they are just too gorgeous! Those shoes are so cute! I love the pearl details! i seriously love those sandals! You look great, love these sandals! Very nice!! I love dress!! Kisses, Zara Cabañes. How cute are you! I’ve never seen sandals this adorable before! Your sandals look amazing! But I have to say I love this whole look you put together. From the dress, to the earrings, and the bag – they’re all so gorgeous! Such a fun look! I love this dress paired with the purse. Yes… those sandals are adorable!